Welcome to the first submission in my new “Kata Vineyard” celebrating the beauty and joy of Kata. What is there beyond the stars and planets? Is there intelligent life “out there”? How far will astronauts travel during my life and what will they find? 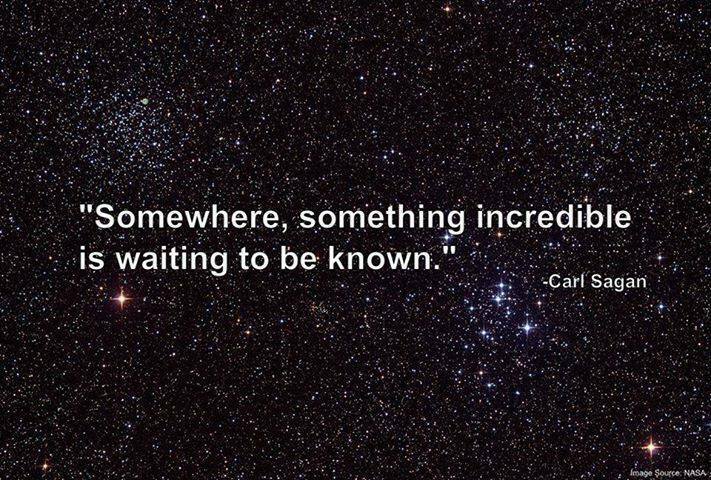 What lies out there in the universe that we have not discovered? The night sky was a remarkable catalyst for my imagination. 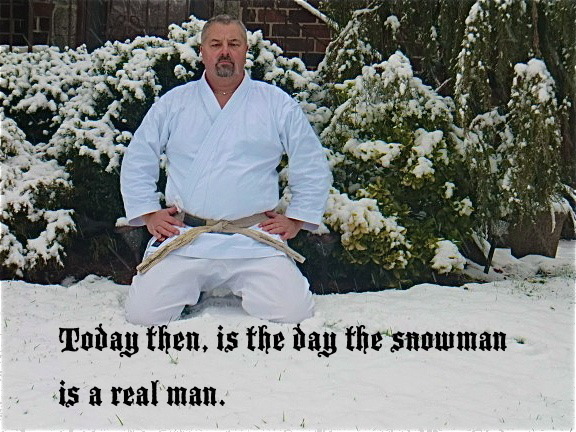 Now, each night shortly after sunset, I walk two miles to a local park to practice kata. With each step the Sun moves lower below the horizon. Soon, the first and brightest star appears. I glance upward welcoming this pinpoint of light that is the planet Venus. Under its watchful “gaze” I reach the park and walk onto the grass. Here in the Arizona desert, in an effort to “conserve” water, large grass fields like golf courses, parks and large lawns are watered at sunset. The grass is moist and somewhat slippery, like skating on green ice. The musky smell of moisture wraps itself around me. As a gentle breeze caresses my cheek, the sound of crickets and hunting bats melodically fills my ears, I look upward and find my favorite constellation. 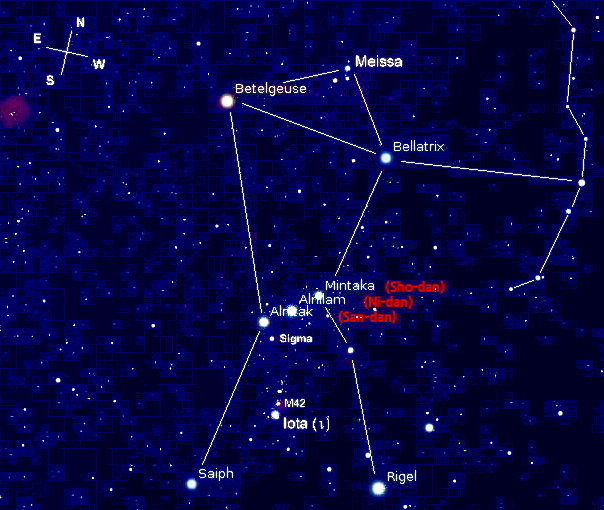 It is one that has intrigued humans since the dawn of time – the Orion constellation. If I were standing still, my inner self would hear the beat of my heart (Thump – Thump / Thump – Thump / Thump – Thump). This pattern is that of the Taikiyoku series of kata. I perform the three formal Taikiyoku Kata (Sho-dan, Ni-dan and San-dan) as one kata; as I finish one, I omit the ending Hache-dache position, and tie in the last move to the the first move of the next Taikiyoku. Thus, the three become one and more. As my left eye stings from a drop of sweat, (Block – Counter / Block – Counter) I acknowledge the passage of time since my youthful vigor. Before I walk home, I again look towards Orion and focus on Orion’s belt. Astrologers named these three stars Mintaka, Anilam and Alnitak. I think of them as the three formal Taikiyoku – Sho-dan, Ni-dan and San-dan. For just as the stars in Orion’s belt call forth the secrets of the night sky, these three kata can unlock secrets of our imagination and creativity. A shooting star streaks past the three stars of Orion’s belt! A desert wren perched on a branch screeches in the night! A dust-devil briefly dances at the edge of a field! A coyote saunters by and sits! – watching or critiquing? In closing, I remain staring up at the night sky – blocking and countering in a rhythmic pattern known as “Taikiyoku”. Oh, and what thoughts percolated or festered in my mind this night? The next article on this blog, of course. © Copyright 2013 Issho Productions & John Szmitkowski, all rights reserved. As the impetus for my Kata Vineyard category is the exploration of the beauty, art aesthetics and enjoyment of kata, I did not want to “bog-down” in technicalities when posting in this category; however, there are a few notes I wish to submit. Taikiyoku Kata Variations: Every Saturday morning, Sensei Nick D’Antuono would end the junior division class with repetitive performances of Taikiyoku. To keep the session from becoming boring, he would invite us to create our own kata, within the Taikiyoku pattern, using any combination of block and counter. I continued this practice when I became a Sensei; however, I introduced a caveat. The student would be required to engage in kumite using whatever block and counter combination the student selected for their version of Taikiyoku variation. This prevented from the student introducing flamboyant, martially-absurd combinations into the kata. Cadence of Taikiyoku: In the sequence involving a block followed by three lunge punches, the usual cadence is to perform all four movements in one sequence. For two reasons I adapted the cadence by breaking it into two sequences of Block-Punch and Punch-Punch. The first reason is martial in purpose and was necessitated by one of my junior division students. The class was performing kumite. I instructed them to defend using the concepts of Taikiyoku. One student attacked the other with an amazingly slow roundhouse kick (mawashi-geri). The defending student waited for the semi-slow motion kick to get close enough to block (I could have had a cup of tea) blocked and countered. I asked why he waited to block the terribly slow kick. The student replied that he was using the block and counter taught in Taikiyoku. Thereafter I changed the cadence. and teach the “punch – punch” sequence as intercepting a slow attack (thus attacking the attacker). Thus, Taikiyoku mostly teaches block and counter (8 sequences) and introduces the concept of intercepting an attack (2 sequences). 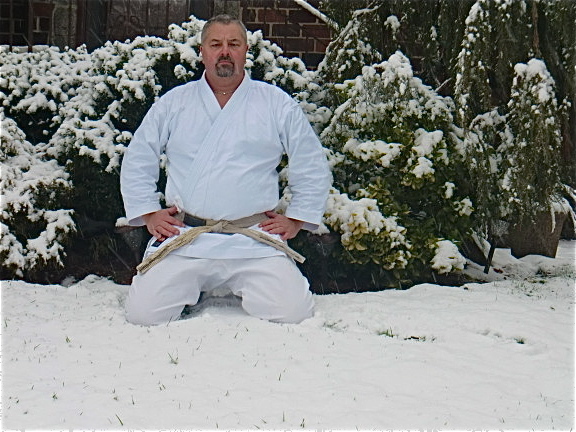 The second reason was to effect a rhythmic cadence of 1-2 / 1-2 / 1-2 throughout the entire kata. This fosters a state of moving mediation. For decades, I have endeavored to share my insights into kata in particular and karate-do in general. For the majority of time, this was accomplished within my Dojo. To expand my audience, I turned writing. My first literary attempt began in 1997 with the release of volume one of the Goshin-Do Kata-Jitsu series. Five volumes completed that series; six more literary works, seminars, videos, DVD’s, three blogs and years later, I have realized that my approach was lacking. An integral component of the kata experience was missing. I now realize I failed to express my love of and joy in performing kata. Kata is something special that is beyond the ken of the “average” person. As such, it must be enjoyed, appreciated and savored. Additionally, how you feel about a particular kata inextricably affects your bunkai (analysis) of that kata. Thus, the more you enjoy a kata will result in a more imaginative, fruitful bunkai. Though I believe my videos, filmed outdoors in nature, provide a feeling of the aesthetic sense and beauty of kata, this feeling was minimal. The aesthetic beauty, joy and love of kata needs to be brought to the forefront. like wine, kata is best savored in a natural environment, both are best enjoyed in nature. In addition, I submit another, ethereal connection between kata and wine. 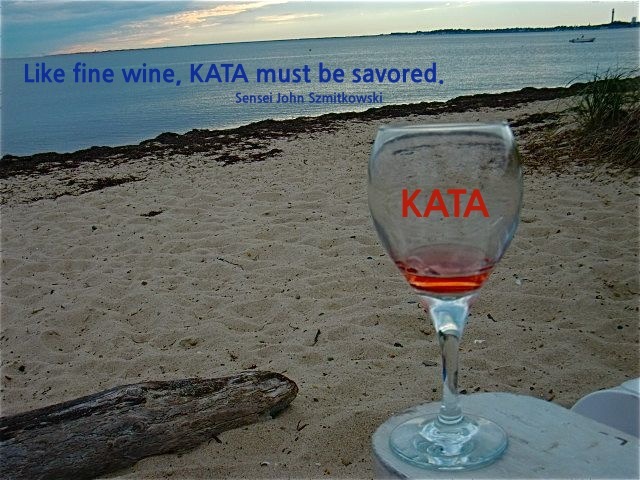 I find it immensely intriguing that the spiritual significance of kata and wine is similar. Christianity (and other Religions) recognize the Last Supper whereby Jesus shared bread and wine with his disciples. In doing so, He asked them to “do this in remembrance of Me” and created the new covenant. (Luke 22:17-20) Similarly, we are all disciples of our Sensei. Each time we perform a kata we do so in memory and tribute to the Sensei that taught us the kata and continue the covenant of not just preserving but also advancing Sensei’s kata. I look forward to sharing within you the aesthetic beauty, and my shear love of and joy in performing kata. Look for the first post and video in this category in the near future.